Objectives: To discover that this verse comes from the book of Zechariah, and that Zechariah was a prophet who passed on a message from God to Zerubbabel. Aim: to play a game about building. You will need: paper plates, enough marshmallows for six per child, enough dried spaghetti for at least ten pieces per child, a felt-tip pen and wipes. Before the session clean the work surfaces in your teaching area and encourage the children to wash their hands. Give each child a paper plate, six marshmallows and ten pieces of spaghetti. Explain that they need to build a tall tower using just spaghetti and marshmallows. Inform the children that the person with the tallest tower will be the winner. Allow six minutes to build the towers. Examine the towers praising each person, and decide which tower is the tallest. Encourage the children to write their names on their plates and put the structures to one side so that they can be collected at the end of the session. Make sure the children understand that they should not eat the dried spaghetti. You will need: The Bible Curriculum Old Testament Flashcards, a whiteboard or a large sheet of paper, marker pens, a Bible and the ‘printed message’ (see Printables). Before the session write the verse on a large sheet of paper or whiteboard. Underline the the reference and explain that this verse was written down by a man called Zechariah. Quickly find the book of Zechariah in the Bible explaining that Zechariah's book is the second to last book in the Old Testament. Draw a smiley face next to the word ‘Zechariah’ and explain that Zechariah was a prophet. Give the smiley face two ears and draw a speech bubble next to it. A prophet listens to God and passes on what he says to other people. Another word for a prophet is a messenger. Point to the verse and explain that God gave this message to Zechariah to pass on. Read the verse aloud again. Talk about the activity the children have just completed - building with spaghetti and marshmallows. Explain that during the time of Zechariah a huge building project was taking place - God's Temple was being rebuilt. Quickly (in less than 30 seconds!) show cards 1- 9 of The Bible Curriculum Old Testament Flashcards. Remind the children at what stage the rebuilding of the Temple occurs in the Old Testament. Draw another smiley face next to the verse and explain that Zechariah passed on this message to the man in charge of building God's Temple. Draw a ‘Z’ underneath the smiley face. His name also began with a ‘z’. His name was Zerubbabel. Explain that this message was given to Zerubbabel when he was facing difficulties. The foundations of the Temple had been laid, but the people living nearby had begun to moan; they moaned so much that the building work stopped. God wanted his Temple finished so he sent Zerubbabel a message. The message was this: ‘You will finish the Temple but not by might nor by power, but by my Spirit’. Point to the verse as you say the words. Show the printed message to the children. Explain that another way of saying this message is: ‘You will finish the Temple but neither by your own power nor by your own might, but by letting the Holy Spirit lead you and work as he pleases.’ Zerubbabel listened carefully to the message from God. He let the Holy Spirit lead and guide him and soon the Temple was rebuilt. At last God's people could worship God in his Temple once more. 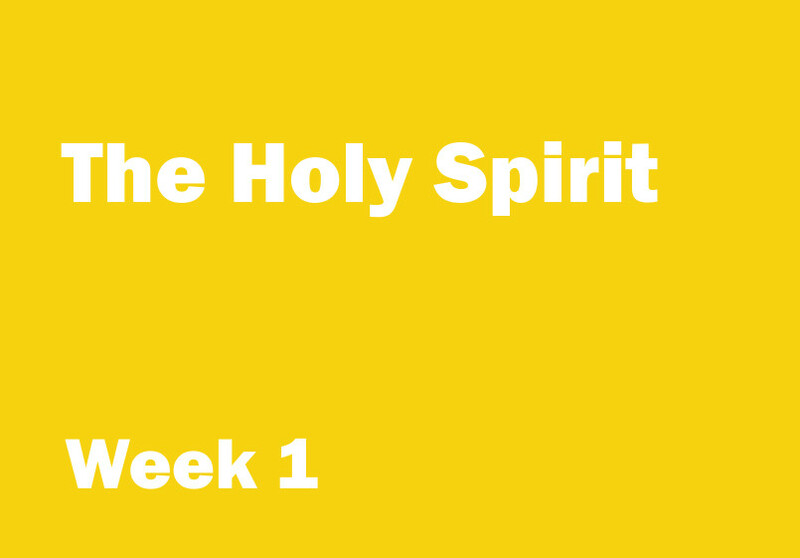 Quickly underline the word ‘Spirit’ in the verse and explain that over the next few weeks we will learn more about God's Holy Spirit. 5. …but he would finish it not by his might nor by his power but by the work of the Holy Spirit.